“Good Times...Have Some!” Inside message and blank for your personal message or convo me to hand stamp a sentiment. I used beautiful vintage wallpapers and vintage calendar page Engelbreit illustration on this bright yellow card. 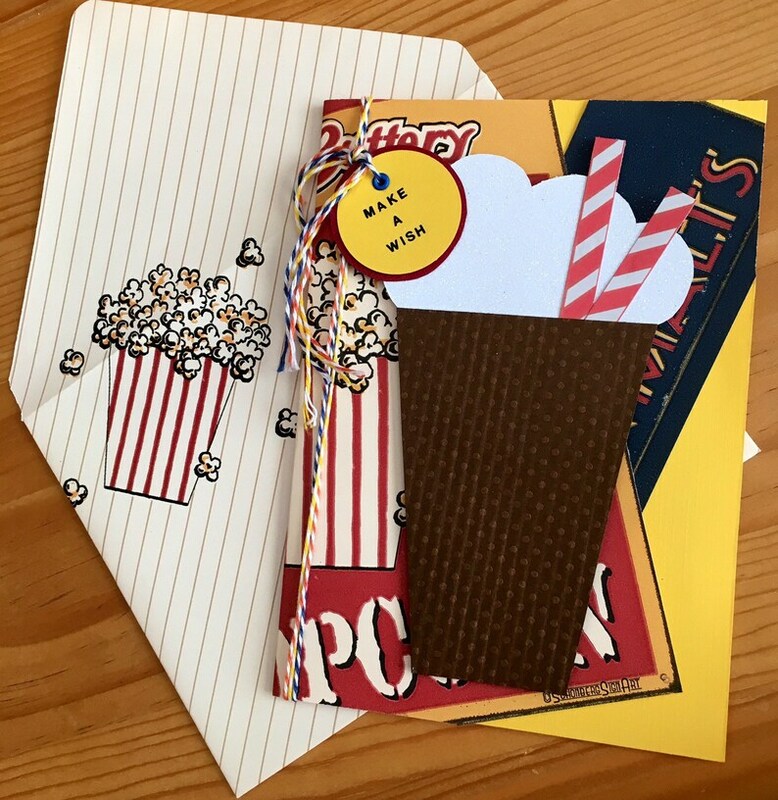 Handmade wallpaper envelope with image of popcorn and malts included. 5x7 large card embellished with cord and glittered paper with lots of 3D fun!